Comfort Zone Essentials Cleansing Milk | £20 // Recently I've been using a cleansing milk as my morning cleanser instead of a cleansing balm so this will be my back up once I've finished the Caudalie version. It's just slightly smaller than the full size so I'll actually be able to try it properly to see how my skin reacts to it rather than a tiny sample tube. I'm trying not to open/use products until I have finished what I am currently using so can't comment on the scent or how it works just yet. Lalique L'Amour Perfume | £67 // The notes of this perfume are bergamot, rose, neroli, gardenia, jasmine, tuberose, cedar, sandalwood and musk. I don't think this is a perfume I'd buy a full bottle of but I'll enjoy the sample. It has the same notes as the perfumes I usually go for but it's pretty expensive, nearly £100 for the 100ml. I also really like the bottle as when you open it the perfume doesn't go everywhere like they normally do, instead you're able to dab it on as there's tiny little holes under the lid. If that even makes sense! Figs & Rouge Mango Hand Cream | £6.95 // This is another one I haven't opened yet but I imagine it will smell amazing. I'm pretty sure I've had a Figs & Rouge hand cream before and really liked it. 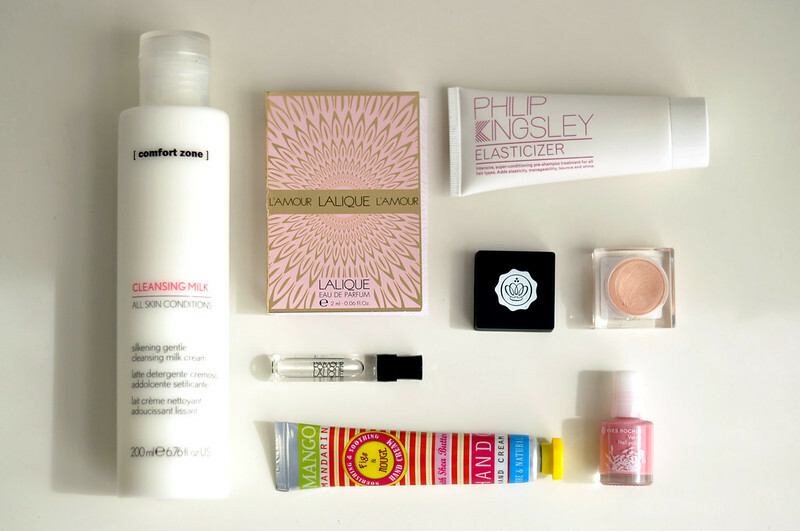 Philip Kingsley Elasticizer | £38 // I've lost count of how many tubes of elasticizer I have and how many tubes I've gone through already. It's my favourite hair treatment to use as I can always tell a huge difference in how my hair feels after I've used it. It's a pre-shampoo treatment which always feels a bit weird applying conditioner before shampoo but you apply it to wet hair and leave on for about twenty minutes. I tend to apply it at the same time as the scalp mask from Philip Kingsley as you need wet hair when using it as well. 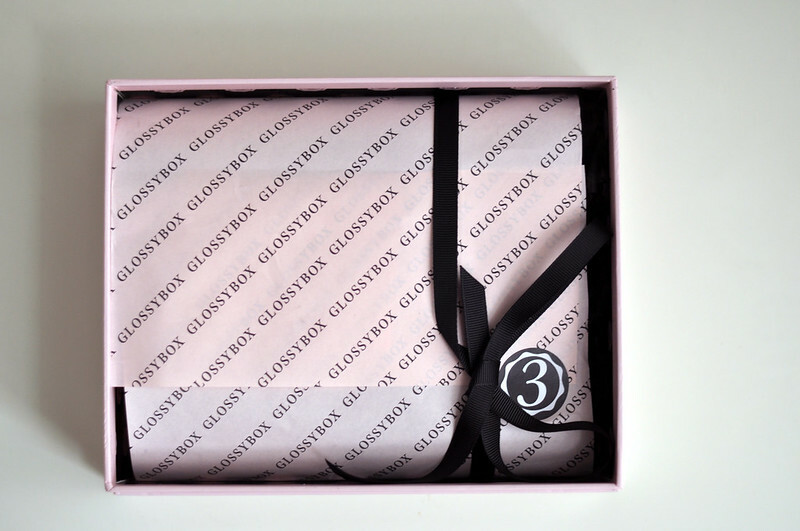 Kryolan For Glossybox Highlighter Cashmere | £12.95 // I haven't been a massive fan of the Glossybox beauty products that have been included in previous boxes but this collaboration with Kryolan is really good. Although the packaging isn't great, the highlighter itself is really nice. Yves Rocher Rose Nail Polish | £3.60 // I'm always a fan of nail polishes being included in beauty boxes and this one is really cute. Great box, I think I received the Elasticizer in a past box too. It good they actually gave you a decent size of the cleanser. Its often way to hard to tell what a skincare item is really like with sample sizes. I have a few mini tubes of Elasticizer in my stash but I have never used it. WHAT IS WRONG WITH ME. I think i am going to save it for when I come back from holiday, Im sure my hair will need a bit of a treat after being in the sun/sea/pool all that time!